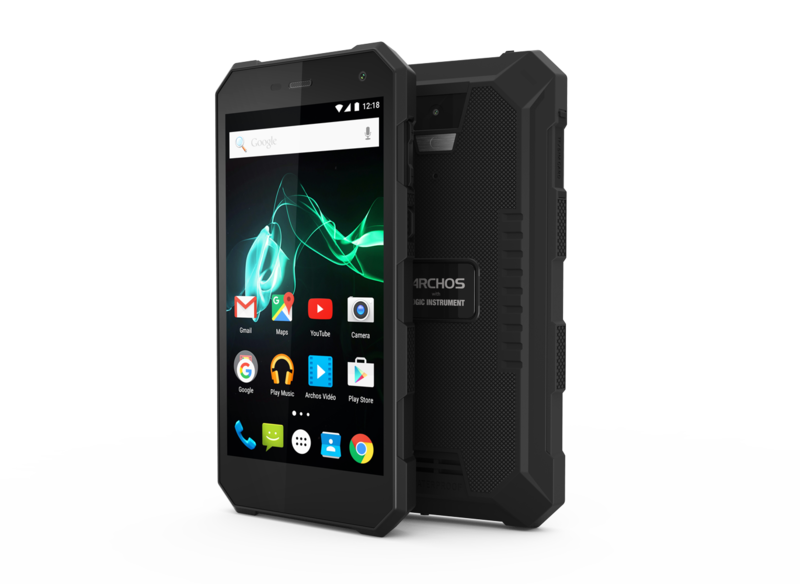 The Archos 50 Saphir is a budget-friendly Smartphone which arrives with rugged looks and good configuration. Apart from the incapability of supporting 4G for Indian bands, the device does not lack from any end considering its price. The waterproof body and large battery backup makes it even more of a lucrative choice. Archos 50 Saphir The phone comes with a 5.00-inch touch screen display with a resolution of 1280 pixels by 720 pixels. The Archos 50 Saphir is powered by 1.5GHz quad-core MediaTek MTK6737VWT quad-core processor and it comes with 2GB of RAM. The phone packs 16GB of internal storage that can be expanded up to 128GB via a microSD card. As far as the cameras are concerned, the Archos 50 Saphir packs a 13-megapixel primary camera on the rear and a 5-megapixel front shooter for selfies. The device sports a 13MP rear camera with LED flash that captures great pictures and has features like Continuous Shooting, High Dynamic Range mode (HDR) Digital Zoom, Auto Flash, Face detection and Touch to focus. For selfies and video calls there is a 5MP front camera. To download applications and store data, the phone comes with an inbuilt memory of 16GB which can further be expanded up to 128GB. The Archos 50 Saphir comes with a massive 5,000mAh li-ion battery which gives over two days of use per charge. To connect to other devices and networking, the phone is compatible with 4G, Wi-Fi, A-GPS, Bluetooth and USB connectivity.